Calling all gigglers, cacklers, chortlers, and belly laughers, this is the day you’ve been waiting for. National Let’s Laugh Day is a 24-hour joke-fest where we celebrate the uniting force of laughter. Brought to you this year by Laffy Taffy — the candy that has been bringing you and your family little bites of joy with jokes on every wrapper since 1971 — Let’s Laugh Day is a chance to have a chuckle with the ones you love (rubber chicken not required). Originally Beich's Caramels, these fun and fruity confections were renamed Laffy Taffy and sold under the Wonka brand. Each piece has a joke on the wrapper making it officially the funniest candy in the world. Charles Douglass, a sound engineer, invented the laugh track. It became a standard in mainstream television. Most prime-time sitcoms used it from the late 1950s to the late 1970s. Yes, THAT Aristophanes. While there's nothing funnier than ancient Greek playwrights, Aristophanes was apparently quite the crack up. His brand of comedy included political satire and innuendo that would make Judd Apatow blush. 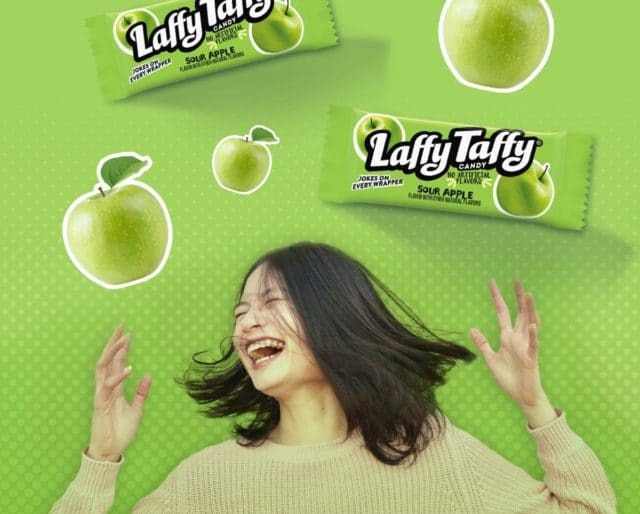 With a joke on every wrapper, Laffy Taffy has more jokes than a comedy show. Pick up a bag and keep your family (and yourself) in stitches for hours. Like plumbing or dental work, comedy can often be thoroughly enjoyed coming from a professional. But that doesn't mean you should avoid the open mic nights. Even a bad joke can be funny. Hop on that streaming service and take a deep dive down comedy lane. With thousands of titles to choose from, there's a comedy for everyone. Even some of the older ones hold up. Do you even know anyone who DOESN’T laugh? 77% of Americans think they are funny, and 96% of Americans like to make other people laugh. We all like to laugh, at ourselves, and at each other. 55% of Americans even laugh when they are alone. There are almost as many types of laughter as there are things to laugh at. At 30%, the most common laugh in the U.S. is the giggle. But at National Today, we're howlers all the way.